Insurers can future-proof and improve their products with over 20 third-party integrations like ISO Electronic Rating Content, Zillow, Google Maps and more. You will have helpful information at your fingertips on your insureds’ financial data, property details, and other critical data points. Through these integrations, avoid hours of manual data entry and craft policies that are more accurate and reliable. Insurers can mitigate risks while cutting time on overhead clerical costs. Relying on third-party providers helps your team reduce configuration and maintenance requirements for new policies — no more headaches when building your own data collection and confirmation tools. 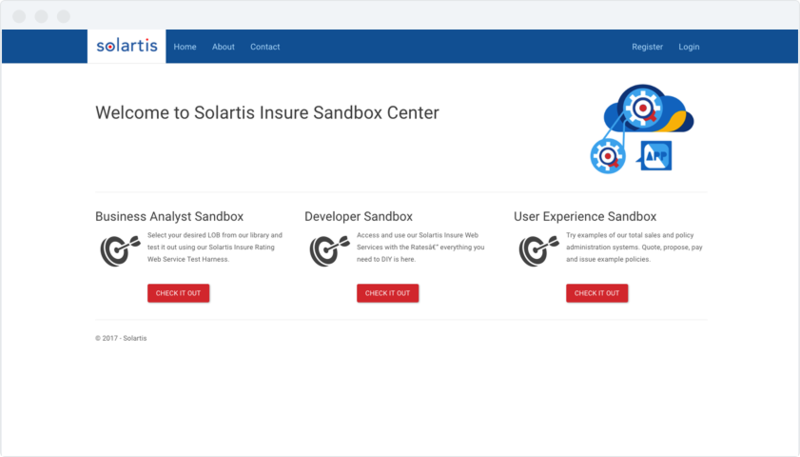 Solartis Insure provides multiple ways to integrate with data and service providers. You can use inbound or outbound web services including XML or JSON messaging, and either synchronous and asynchronous syncing methods — enabling you to trigger a data sync based on a set event or a set time. Solartis supports a variety of third-party systems including: tightly and loosely coupled integrations; integration methods including web services, queuing, file transfers and more; or event-driven integrations that enable workflow events with an association to a user action. Solartis integrates with multiple third-party content providers for reliability. For example, Google Maps assist with address verification. ISO Electronic Rating Content provides information for commercial lines rate, rule and form content. Zillow returns property and building details. Solartis provides more than 20 integrations to your benefit and more are on the way.